I have some exciting news to share! There will be a kindness rally tomorrow (April 11th) at the Foxview Auditorium that I have the honor of speaking at. If you aren’t doing anything and are in the area, feel free to stop over! I’d love to see and meet you. 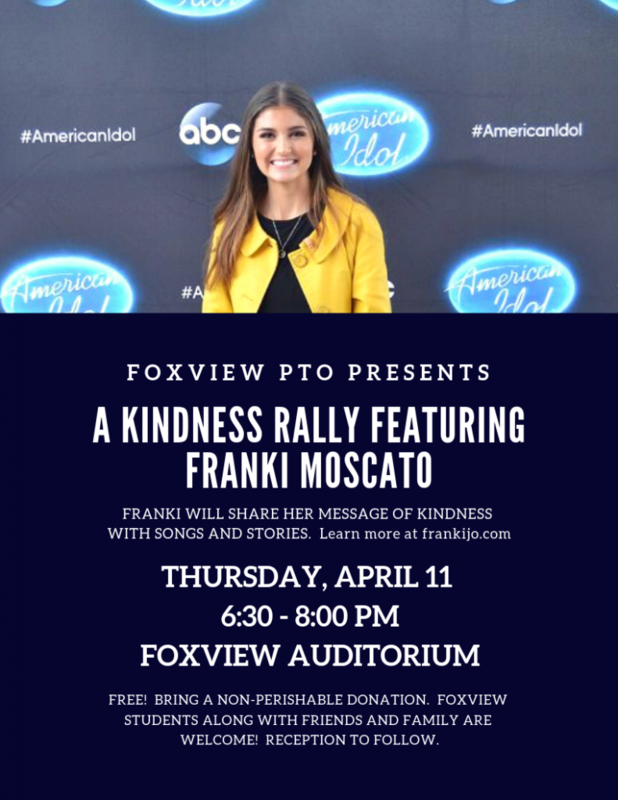 This entry was posted in American Idol, American Idol ABC, American Idol Season 2, Be Kind, Franki Moscato 2019, Franki Moscato Be Kind, Franki Moscato Gold Ticket, Gold Ticket, Inspiration, My Life, News, Singing, Stage, Wisconsin. Bookmark the permalink.